Stand up, show your support, and pledge your allegiance to our country with this genuine Daisy Red Ryder BB gun. 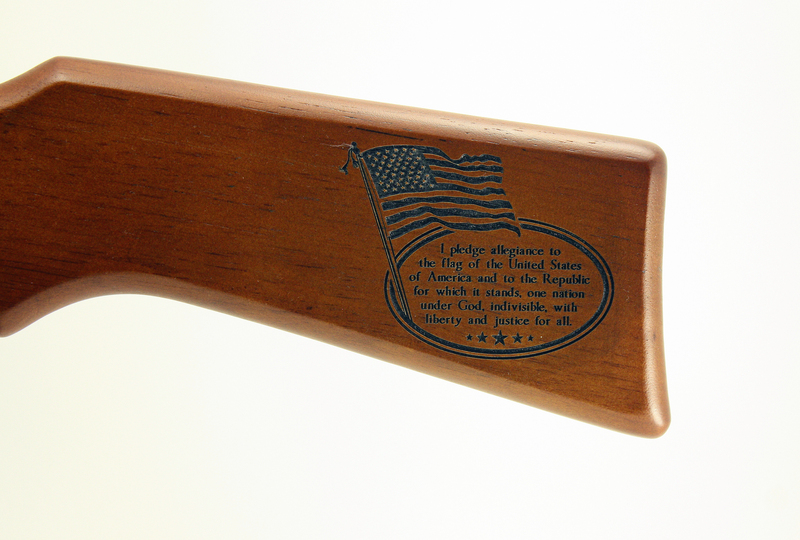 The stock is laser engraved with the American flag and the text of our Pledge of Allegiance. The corresponding side of the forearm may be engraved, for no additional charge, with your name or wording of your choice. We reserve the right to refuse to engrave offensive language and we cannot engrave copyrighted or trademarked slogans. Show your support for our military, our veterans, our freedoms, our forefathers, our values, our democracy and the greatest country in the world in which we are blessed to live.